Alexander Calder: "The originator of the mobile"
He was born in July 22, 1898 in Lawnton, Pennsylvania. He was an American sculptor whose talent was a family heritage as his father, Alexander Stirling Calder and grandson of Alexander Milne Calder, were both well-known sculptors. Best known as the originator of the mobile, a type of kinetic sculpture made with delicately balanced or suspended components which move in response to motor power or air currents. His works is composed from miniature to monumental sculptures called mobiles (suspended moving sculptures), standing mobiles (anchored moving sculptures) and stabiles (stationary constructions). He used to make an ingenious use of natural and manmade materials, including wire, sheet, metal, wood and bronze. 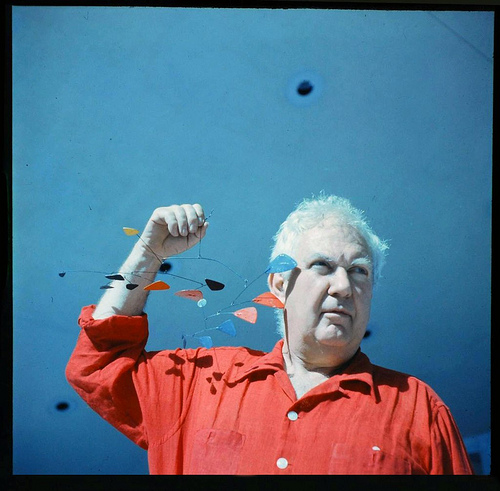 After obtaining his mechanical engineering degree from the Stevens Institute of Technology, Calder worked at various jobs before enrolling at the Art Students League in New York City in 1923. In 1925, Calder published his first book, Animal Sketches, illustrated in brush and ink. He produced oil paintings of city scenes. Three years later, Calder's first New York City exhibition, and others in Paris and Berlin gained him international recognition as a significant artist. In early 1932, he exhibited his first moving sculpture thanks to Marcel Duchamp, who came with the word "mobile", and organized an exhibition for him. Calder returned to the United States to live and work in Roxbury, Massachusetts in June 1932. The United States helped him to reinforce his fame, thanks to shows of his mobiles. Some were motor-driven, and some were wind-driven mobiles which enabled the sculptural parts to move independently, as Calder said, "by nature and chance." In June 1936, Calder moved to Paris to take some classes at the Academie de la Grande Chaumiere and made his first wire sculptures. Calder created a miniature circus in his studio; the animals, clowns and tumblers were made of wire and animated by hand. Calder was very popular and famous thanks to the creativity and diversity of the art forms he used. He produced drawings, oil paintings, watercolors, etchings, gouache and serigraphy. 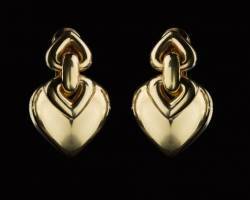 He also designed jewelry, tapestry, theatre settings and architectural interiors. Calder died in November 1976.